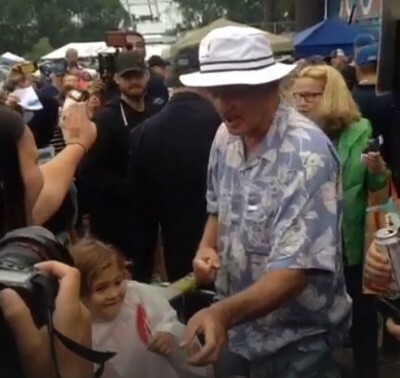 Bill Murray, part-owner of the St Paul Saints of the American Association of Independent Professional Baseball, decided to play ticket taker to surprised guests. It was the Saints’ final game at Midway Stadium. A wedding photographer was simply doing his job when he noticed the bride and groom seemed distracted, and for good reason. 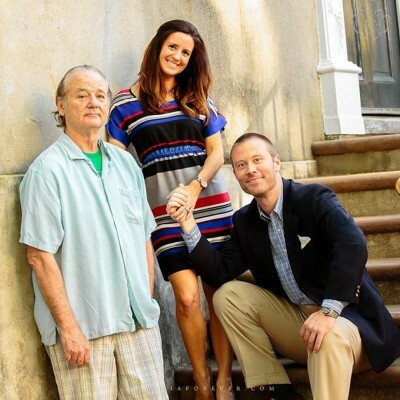 What the photographer didn’t see was that actor Bill Murray had showed up unannounced and was standing behind him. “I thought who the heck is bothering them,” the photographer told the press. “I turn around and it’s Bill Murray with his shirt up, belly out, tapping his belly and trying to make them laugh.” source. Lady Gaga hungrily lapped up some of her final fleeting press time by making a surprise visit to Bill Murray via The David Letterman Show. Murray showed up on Wednesday’s Late Show With David Letterman to take a bucket list photo with host and Gaga. The Groundhog Day actor revealed that one of the things left on his bucket list was to meet Lady Gaga. 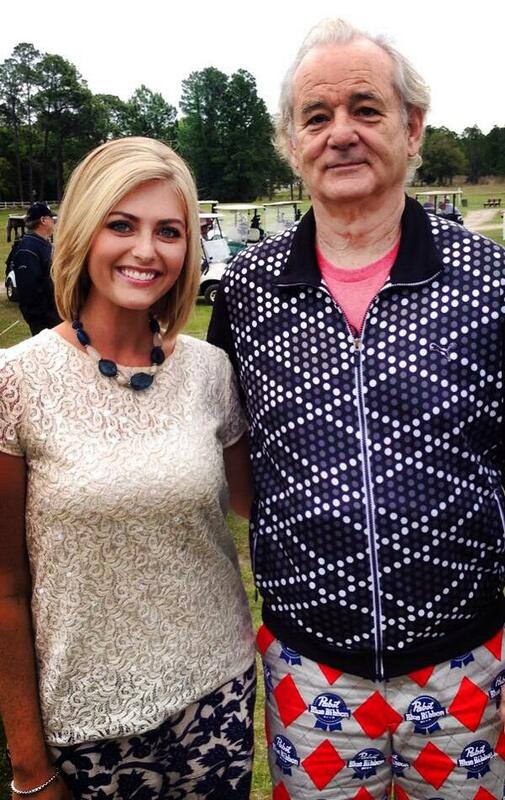 Actor Bill Murray, who is in Jacksonville, Fla., playing in a golf tournament, showed off some incredible PBR pants Thursday morning. 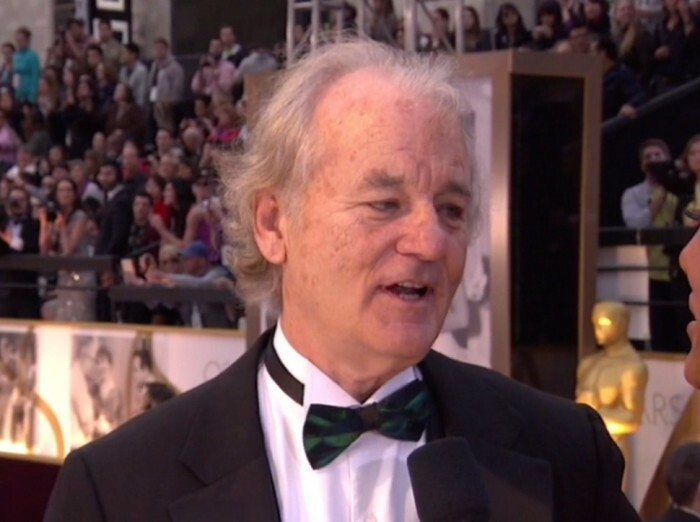 We love you Bill Murray! Matter of fact, like Prince circa 1984, everyone loves you Bill! Now and forever and always!